TAKE THE NEXT STEP IN YOUR TRAINING AND CAREER AT NASHVILLE BALLET’S SUMMER INTENSIVE. Nashville Ballet’s Artistic Director Paul Vasterling leads an outstanding faculty whose expert knowledge gives you the tools to advance your technique and reach your goals. Strengthen your technique and explore your full potential in a supportive environment and a fun, safe city. Admission to School of Nashville Ballet Summer Intensive is by audition only. For audition dates and locations, please visit our audition tour page. Join our Summer Intensive email list to receive even more news, including videos, testimonials and additional information about Nashville Ballet. Join us as Nashville Ballet Associate Artistic Director Nick Mullikin and Academy Principal Kate Crews Linsley discuss Nashville Ballet's Summer Intensive program. Topics will include schedules, classes, dorms and meals. Additionally, you will learn more about the path from Summer Intensive to School of Nashville Ballet, NB2 and beyond. Tune in to ask questions live! Session placement is by audition only. * = Limited space remaining! All classes meet Monday through Saturday (excluding Session I). A placement class will occur on the first Monday of the summer intensive session (not Arrival Day). Class times will vary depending on the level you are placed in; all are approximately from 9 am to 5 p.m. Saturday classes will be held from approximately 10 am to 1 p.m. Students are expected to attend all classes offered in their assigned level. Any exceptions must have prior permission from the School Director. Class times are subject to change and will be posted on the Summer Intensive bulletin boards at the studio and residence halls. On the final Saturday of Session VII (the Pre-Professional Program) and the final Friday of Sessions II, III, V and VI, students will present a showcase of their work. Family and friends are invited to attend free of charge. Seating is limited to three seats per student, and will be by RSVP only. The Youth Programs Coordinator will email a ticket RSVP request to students’ families two weeks before the performance date. Sessions I and IV will offer parent observation of technique class on the final Friday. The Professional Training Division (PTD) gives pre-professional dancers comprehensive training, developing technique, strength and artistry in a rigorous environment and to prepare them for a career in dance.The focal point of PTD is to develop students into artists and assist them in their transition to professional dancers with Nashville Ballet or other professional dance companies. Trainees, the third level of PTD, are given priority consideration for our official second company NB2 as part of Nashville Ballet’s mission to promote from within. Students who are accepted into the Pre-Professional Summer Program (Session VII) are automatically considered Professional Training Division. We recommend that students interested in our Professional Training Division attend a Nashville Ballet five-week Summer Program and notify staff. Summer Intensive students selected to join PTD will be notified mid-way through Summer Intensive. To learn more, click here. NB2 is our official second company, and candidates are primarily selected from within the third level of our Professional Training Division, or the Trainees. To learn more about NB2, click here. Nashville Ballet’s newly expanded building features a total of seven dance studios, a multipurpose room complete with kitchenette and seating, two full-sized family lobbies, bathrooms, dressing rooms, and a small library. See more of our facility here. We are tucked away in the heart of Nashville's Sylvan Park neighborhood, on the edge of West End and near Vanderbilt University. Our facility includes its own parking lot, shared in part by the Noah Liff Opera Center. For families looking to visit Summer Intensive students, there are plenty of attractions nearby, such as coffee shops, restaurants, and the beautiful Centennial Park. To find lodging within easy driving distance, center hotel searches on Sylvan Park/West End or Vanderbilt area. Boarding students ages 12 and up will be housed at nearby Belmont University in suite-style apartments, with 4 or 5 private bedrooms per suite. Each suite is equipped with a full size kitchen (refrigerator, stove, microwave). Housing and meals fees for students under 18 include breakfast, lunch and dinner Monday-Friday, and breakfast and dinner only on Saturdays and Sundays. Dancers are responsible for lunches on weekends or during outings. We are thrilled to announce that students on a meal plan will now enjoy breakfast and dinner in Belmont University’s gorgeous Harrington Place Dining Hall! Harrington Place offers family-style seating and a number of all-you-can-eat food stations, including vegan, vegetarian and other special offerings for dietary restrictions or allergies. Additional fees may apply. Lunches will be served buffet-style at the Nashville Ballet studios. Dancers paying tuition only (non-boarding) may purchase catered lunch, served at the studio Monday through Friday for $12 per day. Please refer to the order form in your registration packet. Dancers 18 and over may choose one of the following options for boarding: Housing Only (no meals) at Belmont University, Housing and Meals at Belmont University, or off campus housing of your choice. Belmont University housing is apartment style, with 4 or 5 private bedrooms in a suite. Each suite is equipped with a full size kitchen (refrigerator, stove, microwave). The Housing & Meals plan includes breakfast, lunch, and dinner Monday-Friday, and breakfast and dinner only on Saturdays and Sundays. Dancers are responsible for lunches on weekends. Nashville Ballet provides all transportation for Room & Board students. Room Only students may purchase transportation on Nashville Ballet buses for a nominal fee. Contact School of Nashville Ballet Summer Intensive via email or by calling (615) 297-2966 x204 for more information. Students age 16 and older may bring a vehicle to Nashville and park it in designated lots. All student boarders that elect to bring a car will be responsible for their own transportation for the entirety of the intensive. Please note that all the items listed below are required to attend Summer Intensive. If you have any questions about attire, please email summer@nashvilleballet.com. Note that leotard colors will be alternated according to a daily schedule. **If you do not already own a Thera-band, Intermediate Program students should purchase a red strength Thera-band, Advanced Program students should purchase a green strength, and Pre-Professional Program students should use their discretion. Upon acceptance into our Summer Intensive program, all students will receive an online link to a registration packet with detailed instructions, deadlines and requisite forms. A non-refundable administrative fee of $150 must accompany all registrations. Registration forms without the administrative fee and required deposit(s) will not be accepted. All forms, administrative fee and required deposit must be received by March 29, 2019. The $150 administrative fee is NON-REFUNDABLE and will increase to $300 for Registration Packets submitted late. Tuition and Room & Board (if applicable) must be paid in full by May 1, 2019. There are no refunds for administrative fees, voluntary withdrawals, housing, or meals. Partial tuition refunds will only be considered for withdrawal due to injury or illness prior to May 1, 2019. Refund requests after May 1, 2019, and before the start date of your session will not be considered. Refunds will not be larger than 50% of the tuition paid on or before May 1, 2019. A request for partial refund must be accompanied by a comprehensive doctor’s report in order to be considered. Contact the Youth Programs Coordinator via email or call (615) 297-2966 x204. Dancers ages 9-13 who do not yet qualify for our Summer Intensive are encouraged to read more about our Junior Intensive program by clicking here. I auditioned and have not yet received results. When should I expect an email by? Audition results are typically emailed the Tuesday after an audition. If you have not received an email by Thursday following your audition, please check your spam and junk mail folders. Sometimes Nashville Ballet's emails are flagged as spam. 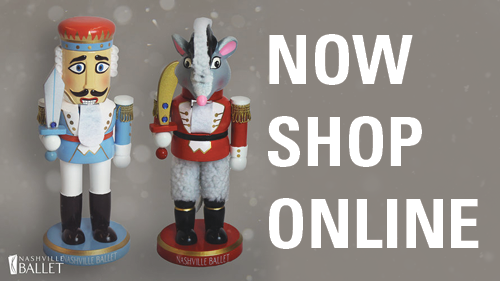 If you are still unable to locate an email, please reach out to summer@nashvilleballet.com or call (615) 297-2966 ext. 204. How many roommates will I have? Can I request to stay with a friend? You will have either three or four suitemates, rather than roommates. You will share a common area (kitchen, living room, bathroom) and have your own bedroom. You can request to be in the same suite as a friend as long as you complete the Roommate Request Form in your Registration Packet. You must be attending the same session as your friend(s) and they must also request you as a suitemate. Can I check into the dorms early or late? Can I stay an extra day? Unfortunately, no. Check in and out times are set and we request all Summer Intensive attendees plan their travels accordingly. In the event you need to stay in Nashville an extra day, we are happy to provide recommendations for where to target hotel searches. Can I visit my child on campus? Yes! Family members are allowed to visit dancers in the lobby of the dorms between 5:00 pm and curfew Monday – Friday and between 1:00 pm and curfew on Saturday and Sunday. Advance notification must be given to Nashville Ballet in a timely manner. To check your student out for the day (i.e. to go to dinner, grab ice cream, etc.) you will need to submit a written requset in advance and receive written approval from a Nashville Ballet staff member. Students should return by curfew unless an exception has been approved in writing by Nashville Ballet. Thank you for your interest in Summer Intensive 2018! Someone will respond to you within 24 hours. 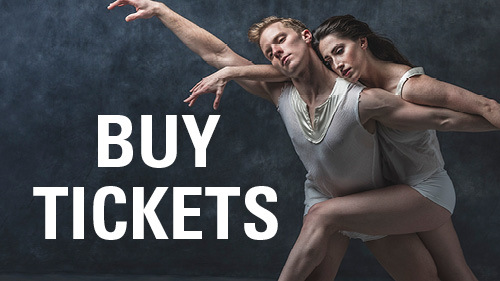 Or email summer@nashvilleballet.com or call (615) 297-2966 ext. 910.